Poor, uninsured women in Texas will no longer be able to obtain government-subsidized breast and cervical cancer screenings at Planned Parenthood clinics starting Sept. 1. This story is part of our 31 Days, 31 Ways series. As part of the GOP's ongoing fight against Planned Parenthood, poor, uninsured women in Texas will soon be unable to obtain government-subsidized breast and cervical cancer screenings at the organization's clinics. In an effort to boot Planned Parenthood from the joint state-federal Breast and Cervical Cancer Services program, Texas lawmakers wrote a provision into the state budget to prohibit clinics affiliated with abortion providers from receiving taxpayer funding for breast and cervical cancer screenings. That state budget takes effect Sept. 1. Cutting off the dollars Planned Parenthood received from the cancer screening program had long been a goal of Texas Republicans, who have likened directing any state funds to Planned Parenthood affiliates to endorsing abortion. Their efforts have intensified in recent weeks, following the release of a series of undercover videos — including one from Houston — showing Planned Parenthood executives discussing fees for providing tissue from aborted fetuses to medical researchers. The 17 Planned Parenthood clinics participating in the Breast and Cervical Cancer Services program, or BCCS, were already prohibited by state law from performing abortions if they accepted taxpayer dollars. Planned Parenthood officials had said the budget rider was part of Republicans' efforts to put the organization out of business in the state. In fiscal year 2014, Planned Parenthood served 2,938 of the 33,635 total women who received services from BCCS providers — about 9 percent. 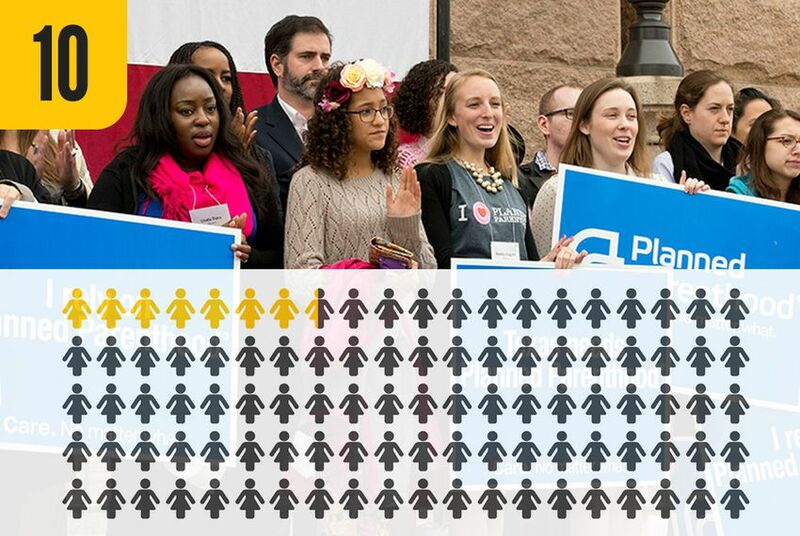 That year, Planned Parenthood clinics received a combined $1.2 million in funding for providing Texas women with a total of 910 clinical breast exams, 278 mammograms and 1,854 Pap smears. From those screenings, health workers at Planned Parenthood Gulf Coast, which serves the Houston area, and Planned Parenthood Greater Texas, which serves North and Central Texas, helped 161 women apply for coverage under the Medicaid for Breast and Cervical Cancer program, which covers costs associated with cancer treatment for low-income women. In some rare cases, a Planned Parenthood clinic may still receive cancer screening funding if the state is unable to find other eligible providers in its region. A spokesman for the Texas Department of State Health Services, which oversees the cancer screening program, said officials were still determining which providers not affiliated with Planned Parenthood "would be available" to participate in the program in the next year. Clarification: This story was updated to clarify how many and the mechanism through which women with cancer are screened by Breast and Cervical Cancer Services providers.